The Casa de Oviedo-Portal, the second historical building with which the Museo de Bellas Artes de Asturias was enlarged, opened its doors on June, 16th, 1986. Acquired in 1982, it was restored by the architects Fernando Nanclares and Nieves Ruiz between 1985 and 1986. Their task mainly consisted in consolidating the building´s structure and return its palatial character, breaking down the interior partition walls erected when the palace was used in 1878 to build flats, and reconstructing likewise the two covered floors in the building´s front and rear. Located in number 8 of Rúa Street, the Casa de Oviedo-Portal was erected in 1660 following the drafts of the architect from Cantabria Melchor de Velasco Agüero (¿-1669) for Fernando de Oviedo-Portal, City Councilor. 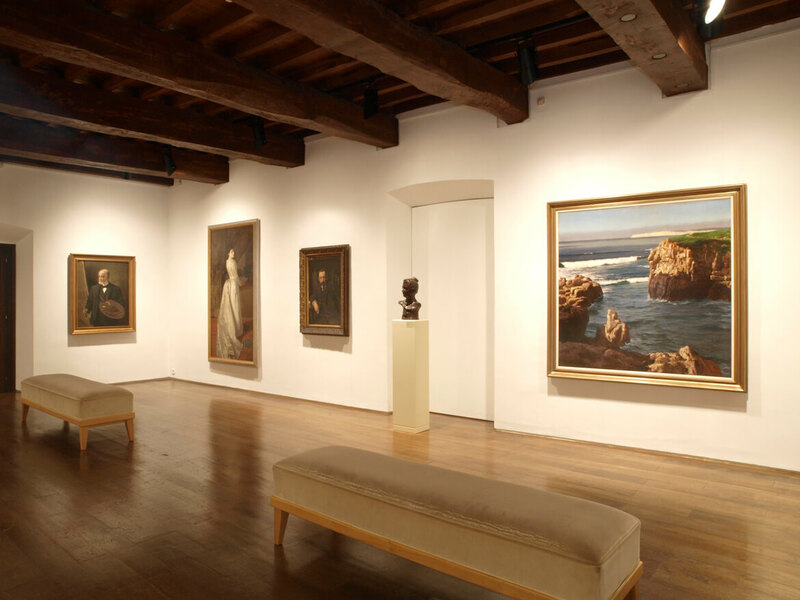 It is a clear example of late mannerist classicism, with strong presence in Asturias since the last decades of the 16th Century until the mid 17th Century. 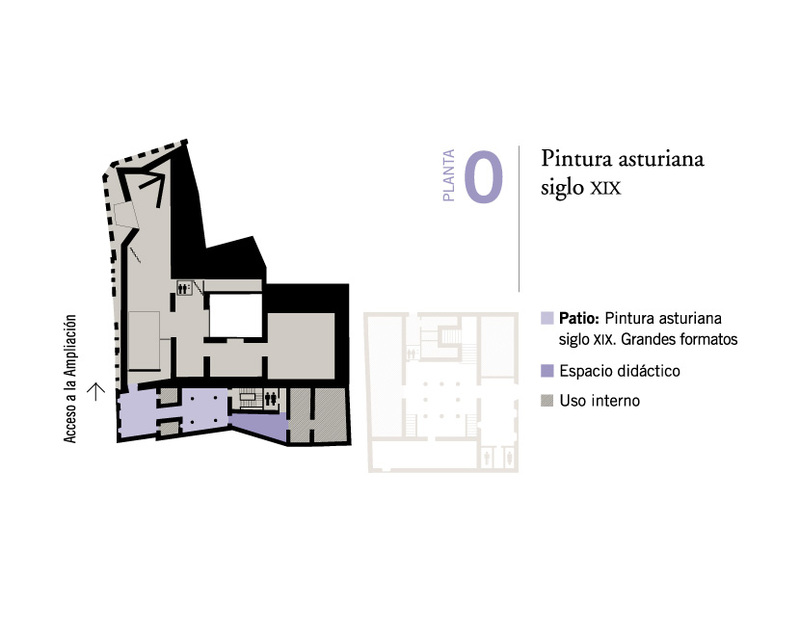 The Casa de Oviedo-Portal is built on a narrow plot of 400 square meters, and is articulated around a courtyard with lintels, sustained in its lower section by four Tuscan columns. Thos courtyard is, after the Medieval of the courtyard of the Casa de Rúa (today Rúa 15) the oldest of the noble architecture of Oviedo that has been preserved. The building is distributed in three floors: the ground floor, which used to host the common services of the building (kitchen, wine cellar, pantry, toilets, cart garage, stables, etc. ); the first floor, the noble part of the building, with the living room, the cabinets and the bedrooms of the family and the guests, as well as the dining room and bedroom of the primogeniture; and the second and last floor, with more bedrooms for the family, living rooms and labour rooms, where we can still see the vestiges of an old toilet (today’s Room 7). The façade, narrow and elongated, is built with sandstone, and is sober and simple, with almost no decoration and with a symmetrical distribution of windows. 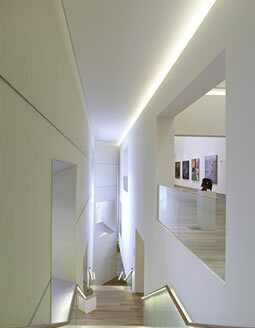 Overview of the rooms on the second floor. Photography: Pedro Pardo. 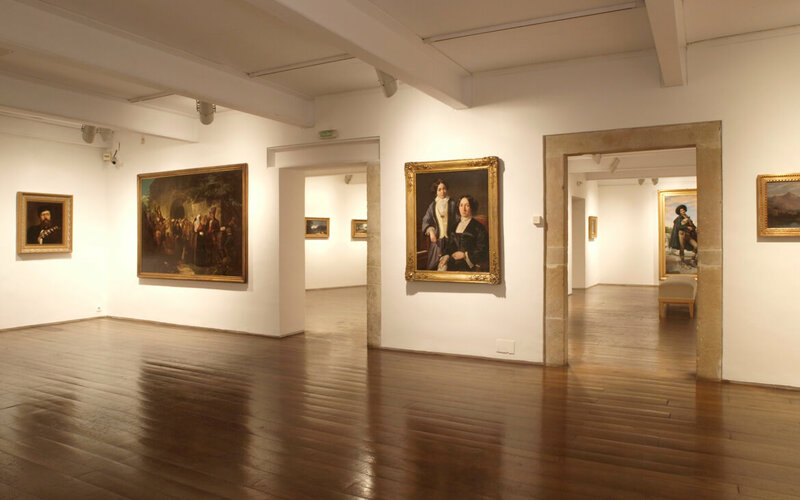 Today, the Casa de Oviedo-Portal hosts an important part of the 19th Century Collection of the Museum, the Asturian paintings of the 19th Century being the star. 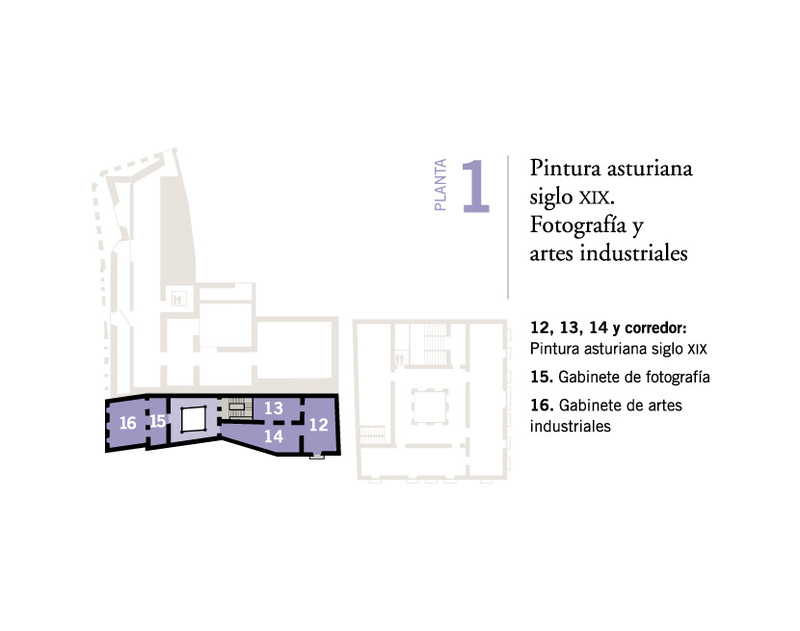 So, the Romantic generation is represented on the 2nd floor (Rooms 7, 8 and 9) with works by Dionisio Fierros, Ignacio Suárez Llanos, Luis Álvarez Catalá e Ignacio León y Escosura, among others; while the Realistic generation, hosted in the 1st floor (Rooms 12, 13 and 14) and the courtyard has with Luis Menéndez Pidal, José Uría y Uría, Juan Martínez Abades and Ventura Álvarez Sala some of its most important representatives. Overview of room 12. Photography: Pedro Pardo. Other areas of the building host with rotator character a small selection of drawings (2nd floor, Room 10), engravings (drawings, 2nd floor, Room 11), photography’s (1st floor, Room 15), industrial art (1st floor, Room 16) and cinema posters (access hall of the Extension Building). 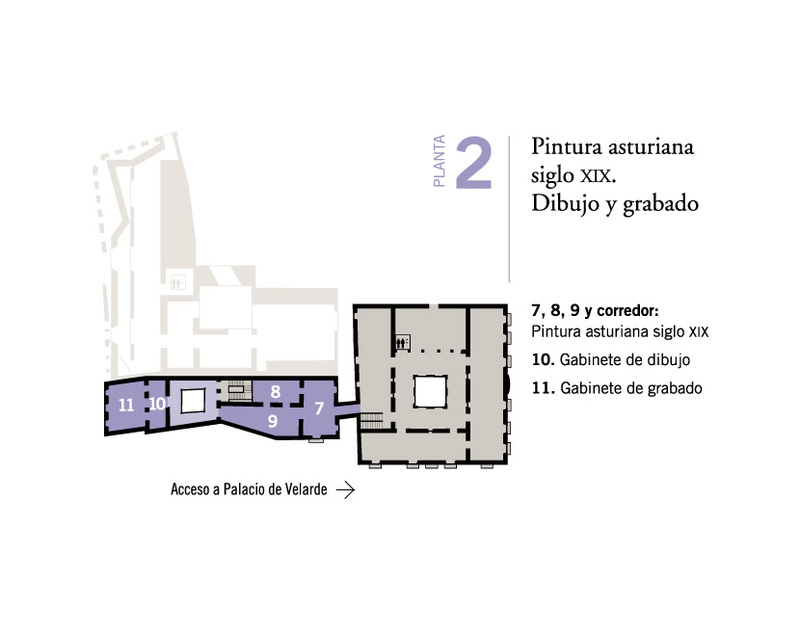 The Museum informs: the Casa de Oviedo-Portal is temporarily closed, until March 30th, due to the re-assembly of the permanent collection.